As a blogger it important to get great photos when I travel. I have recently enjoyed a route with a local Professional Photographer. This morning in was an exclusive Granada photo shoot with great backdrops of the Alhambra Palace. 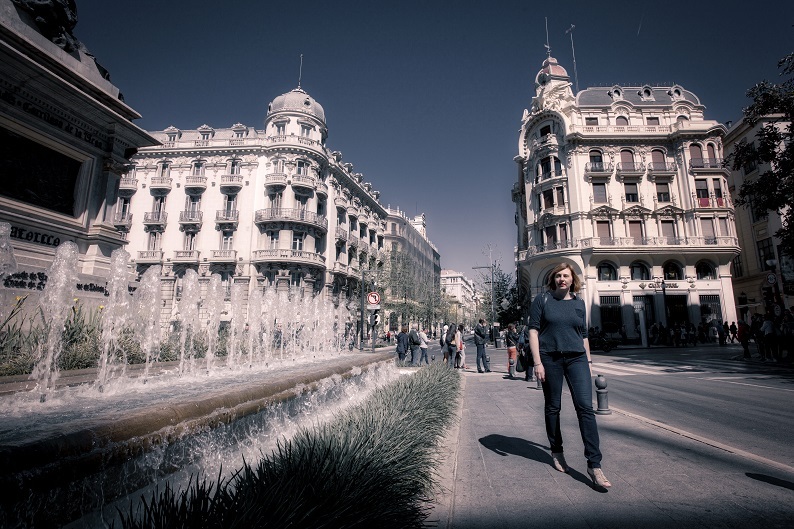 The route through the charming Albaicin quarter made the perfect setting for these photos. Part of the route is set in the historic city centre too. Now you can also enjoy this Photo Tour & Professional shoot when you come to Granada. The 2 hour experience includes hotel pick up and transfer to the start of the route. No need to worry about steep hills or too much walking. Guided around some of the most stunning places in Granada, the British photographer will make you feel at ease as you stroll through the city. With this experience you will get holiday photos to be proud of. Documenting lasting memories of your time in Andalucia. Both the Alhambra palace & the Albaicin quarter are UNESCO World Heritage Sites. Not only do the quaint white washed streets make great scenery, the whole neighhbourhood looks across to the Alhambra. So no matter which part of the route you are in, there will be great captures throughout. This image below was taken on Paseo de los Tristes in the Lower Albaicin. 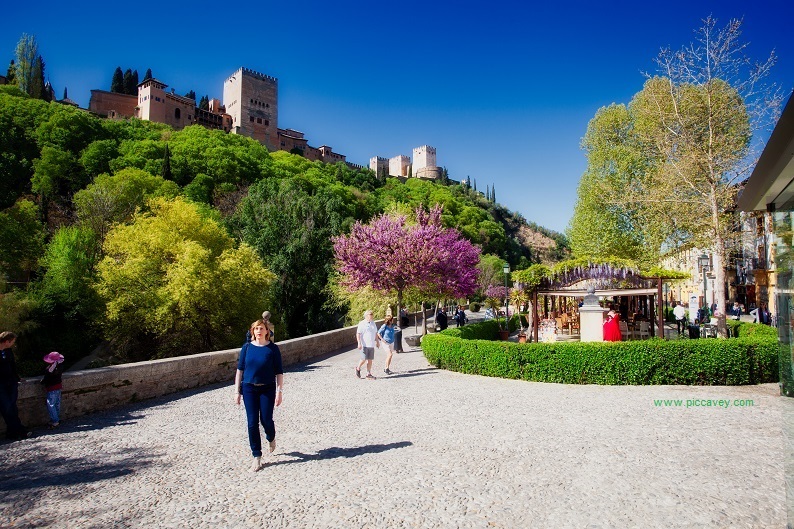 Lined with beautiful wysteria flowers, the riverside walk and of course the Alhambra above. Whether you are travelling alone, as a couple or with family, the photos will capture the mood of your visit to Granada. So you can forget about carring heavy camera kit with you or running out of battery. As well as getting fabulous photos (for digital and print formats) in this photo tour, you will also see parts of the Albayzin that may could miss. Carefully designed by myself and the photographer we have included some hidden gems along the route to ensure you enjoy yourself as well as your holiday photos. Why not get in touch to check availability for your time in Granada? Please book 5 days in advance (or more) to guarantee availability. After the session you will be sent a link with all the photos. For this file you can select your favourite images from the selection. The final selection of photos are formatted for print and for digital formats. 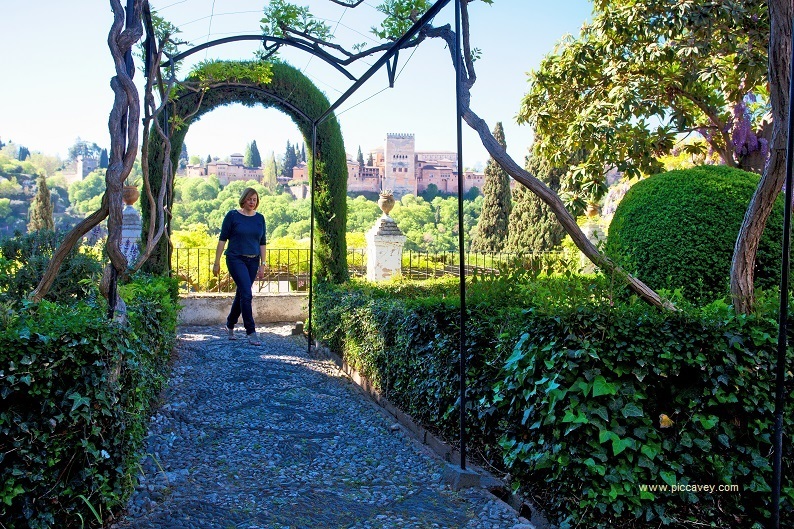 This Photo shoot walk combines the photogenic city of Granada and the Albaicin so you can see some quaint alleyways and stunning views. Taking just a few hours it is a good option for those travellers who don´t have a lot of time in the city but want to see more than just the Alhambra palace. 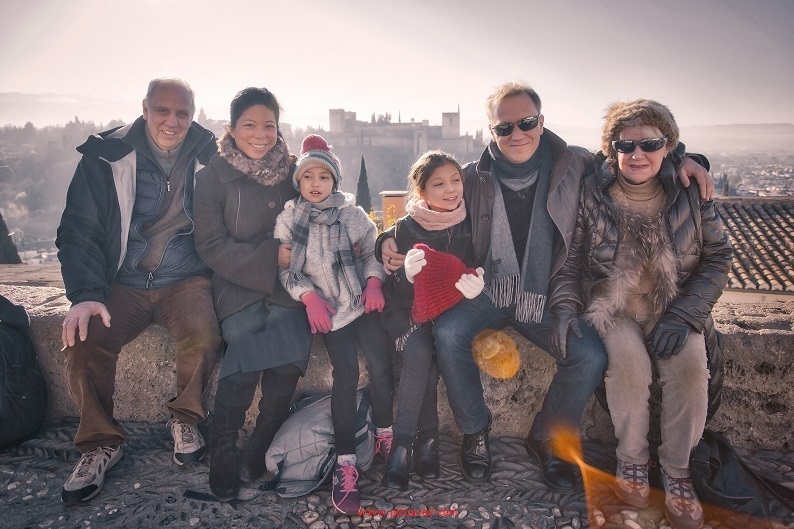 For families, this photo experience ensures that you capture precious moments together. The photographer will capture natural photo using his local knowledge and eye for great shots. Rather than posed shots, the emphasis is on the atmosphere. Even though I don´t love having my photo taken this experience was enjoyable and relaxing. The most natural shots after all are usually the best ones. 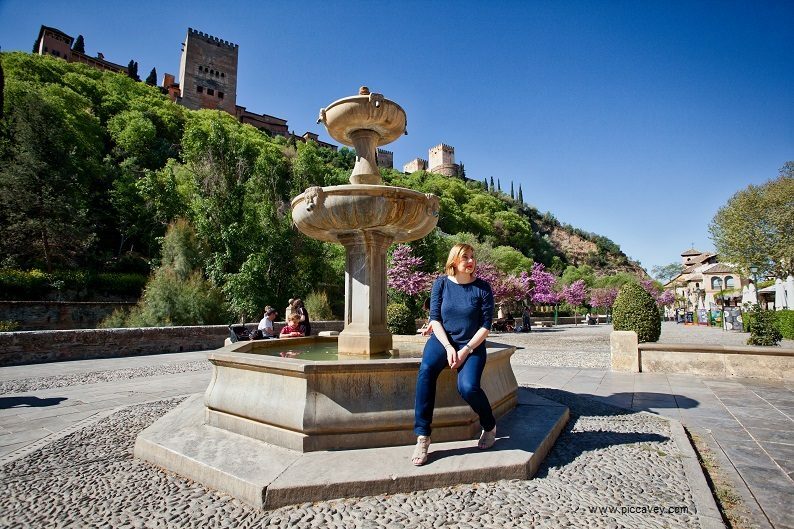 Photo below: Molly at Isabela La Catolica, Granada, Spain. I would like to join one of your walks, but will bring my camera, I do not need the services of your photographer except as a guide. We can arrange a Photo Workshop to improve photography skills. its a three hour activity.